Looking for a volunteer opportunity? Here's how you can get involved with UHS. Ann Arbor Campus-Community Coalition addresses harmful alcohol use on our campus and in our community. All are welcome to attend monthly meetings. Body-Peace Corps is a student group that is passionate about promoting positive body image at U-M.
PULSE is a student-run, UHS-sponsored group of trained health and social justice advocates who are available across campus and active in residence halls and Greek houses. 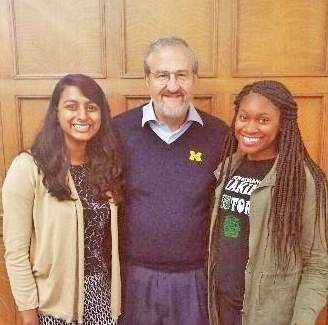 Sexperteam is a group of U-M students that educates campus communities about sexuality and relationships. Student Health Advisory Council (SHAC) provides a student perspective to UHS staff, clinicians and other staff, in order to advance the quality of health care and services. Student Health Insurance Committee (SHIC) recommends a comprehensive healt hinsurance plan to meet the needs of U-M students. Students for Recovery is a student-run, UHS-sponsored group that is committed to supporting recovery on campus through advocacy and social support. For more information, see our Facebook page or contact the Collegiate Recovery Program or call Matt Statman at 734-763-3933. Travel Abroad Health Insurance Committee serves as representatives for the U-M Ann Arbor, Flint and Dearborn communities in providing oversight for an affordable and comprehensive travel abroad health insurance plan.